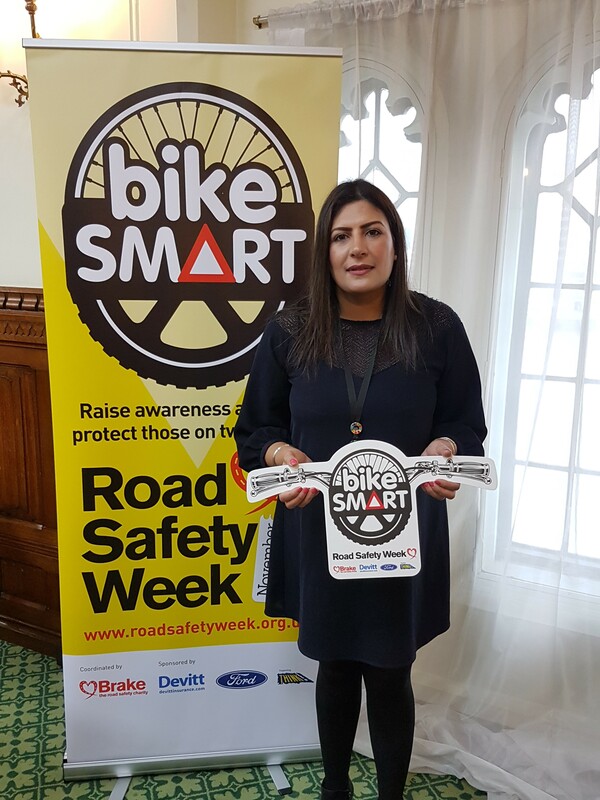 Preet Kaur Gill MP showed her support for Road Safety Week, coordinated annually by Brake, the road safety charity, with the 2018 theme of ’Bike Smart’. At an event in Parliament, Preet met with representatives from Brake to learn more about why cyclists and motorcyclists are amongst the most vulnerable road users and what people in Edgbaston can do to be more bike smart and help keep those on two wheels safe. Analysis by Brake, the road safety charity, has found that in the West Midlands more than a third of all deaths and serious injuries on the roads was a bike rider. Brake’s analysis has also highlighted the high vulnerability of those on two wheels, who, in comparison with car drivers, are on average 34 times more likely to be killed and 63 times more likely to be killed or seriously injured, per mile travelled, on British roads. Preet heard how Brake is calling for drivers to be ‘Bike Smart’ this Road Safety Week by following a few simple steps: slowing down, giving more time to spot danger and react; looking properly for bikes before pulling out at junctions; leaving at least 150cm between cars and a bike when overtaking; and by doing the ‘Dutch reach’, using the opposite hand to open a car door to help avoid ‘car dooring’ incidents.